GET TRAINED BY THE BEST IN THE NATION! 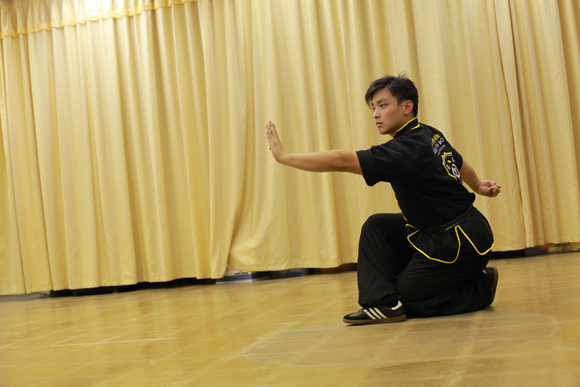 Northern Shaolin Kungfu is one of the oldest traditional martial arts sytems of self defense. Originated in China over 3000 years ago, it is sometimes referred to as Shaolin Long Fist. One of the most distinguished martial arts schools in China is the Chin Woo Association, which has three major arts systems: Shaolin, Eagle Claw, and Praying Mantis. The Shaolin system is the most acclaimed and is said to be the root of Karate and Tae Kwon Do. JK Wong Academy offers a variety of classes for different ages, levels, and goals. 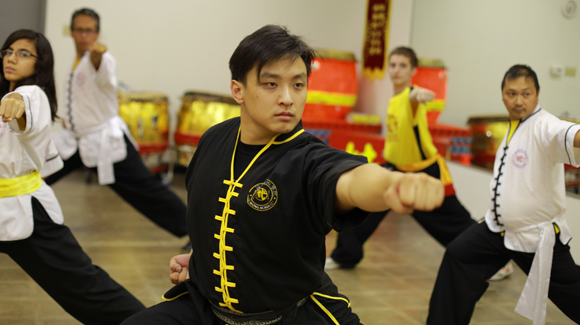 For those looking for rigorous physical and mental training, the development of martial skill, and dynamic exercise leading to significant flexibility and power, we offer Northern Shaolin Kung Fu. The Adult class is separated into Beginner and Intermediate/Advanced classes. Adult students are invited to attend both the Beginner and Intermediate/Advanced class to get the more training time. ‘Twelve Patterns’ which consist of action, calmness, leaping, falling, standing, positioning, turning, rotating, quickness, slowness, lightness, and heaviness. The northern styles of kung-fu generally emphasize long range techniques, quick advances and retreats, wide stances, kicking and leaping techniques, whirling circular blocks, quickness, agility, and aggressive attacks. The system teaches empty-hand techniques and weaponry through predetermined combinations, known as forms, routines, or movement of sets. The students learn the basics by practicing the routines until the movements in the routines can be executed naturally based on instinct. The fluidness of the movements combined with acrobatic techniques are trademarks of the Northern Shaolin sets. For more information about Northern Shaolin Kung Fu, please visit our Northern Shaolin Kung Fu page and read our article about Tan Tui (Springing/Snapping Legs).